Parabolic Soap Bubbles Are All About Math...And Bubbles! Childhood summers are all about blowing iridescent soap bubbles out of plastic wands. It seems like a short-lived activity, but somehow it provides endless fascination. 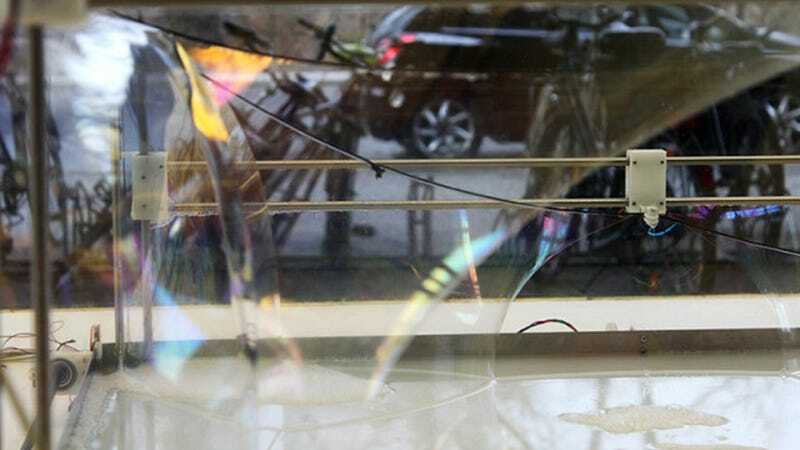 Involving an Arduino and some stepper motors might seem like overkill, but these parabolic bubbles are pretty mesmerizing.